Watch Liz and Lynton make a flavor-packed version of your favorite smashed avocado. Using a tablespoon, scoop the flesh out of 3 ripe avocados and into a medium-sized mixing bowl. Season with the celery salt, lemon juice, mint leaves and goat’s cheese, stirring to combine. Pour olive oil into a saucepan on medium-high heat and begin toasting the sourdough, until nicely burnished. 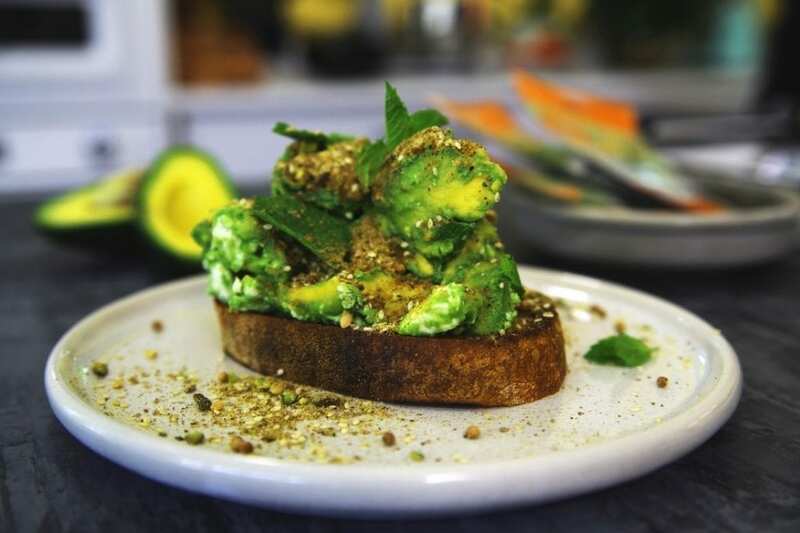 To serve, plate the toast and dollop the smashed avocado on top, then garnish with a few torn mint leaves and a final sprinkle of Egyptian Dukkah Crunchy.